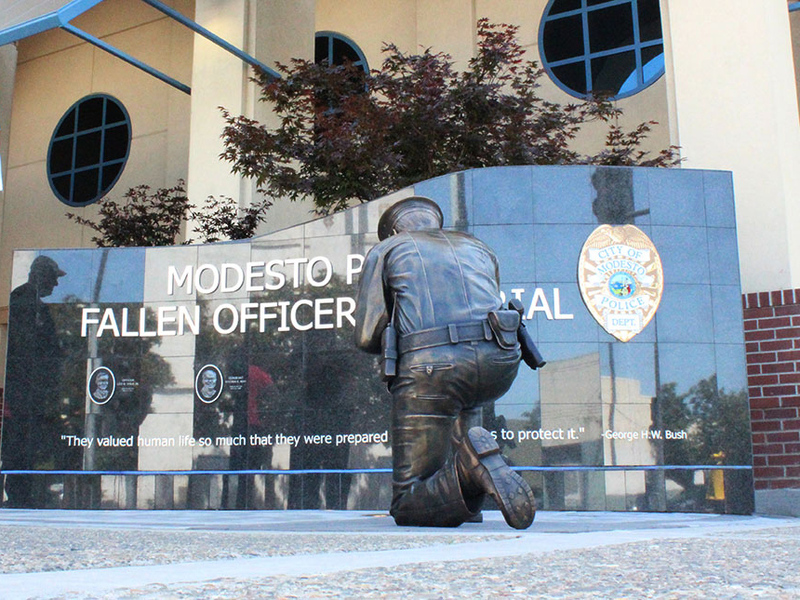 Modesto Police Officer- Modesto, CA. 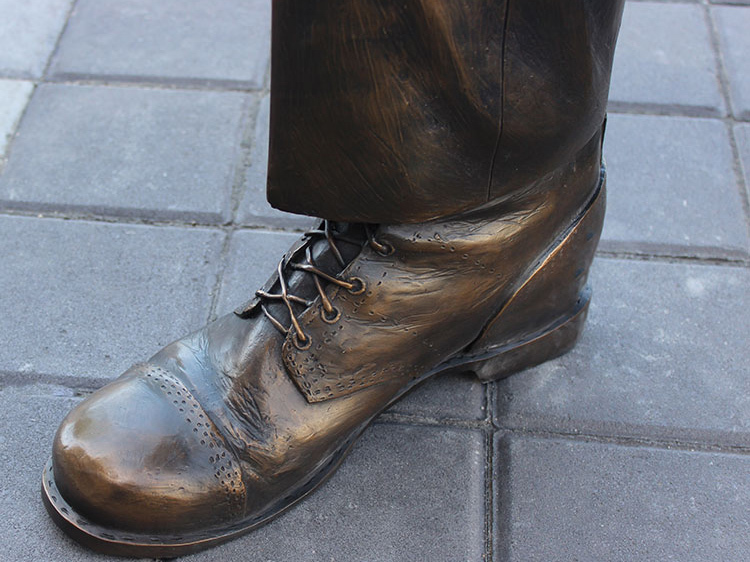 With a sense of profound mourning, an officer grieves the loss of one of his distinguished own. In “The Fallen Shield,” the sorrowful details surrounding such a heartbreaking casualty are highlighted. 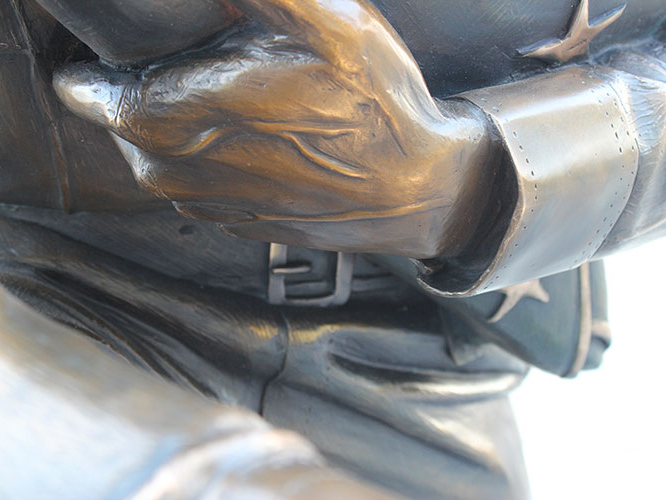 The folded flag is pressed tightly to the presenting officer’s chest, as if he is reluctant to let go. 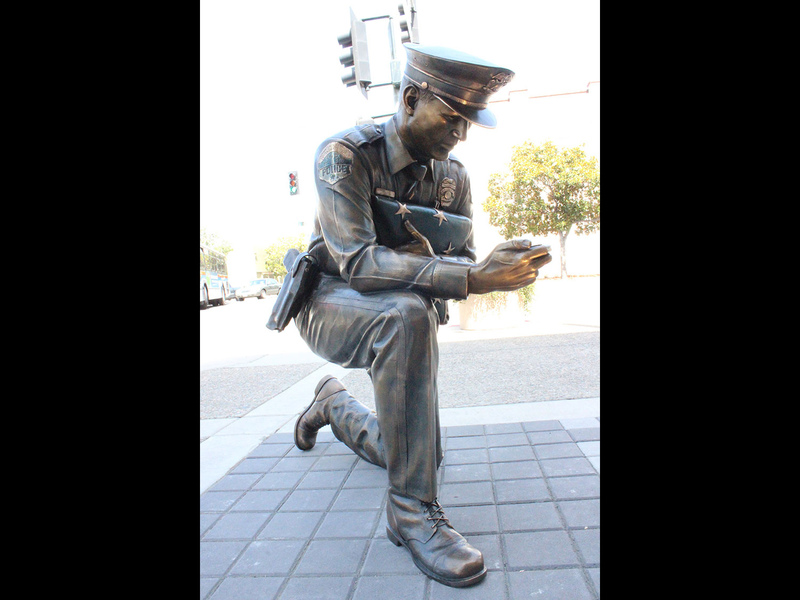 On bended knee, his eyes are focused downward in supplication while he offers posthumous respect to a deceased colleague. 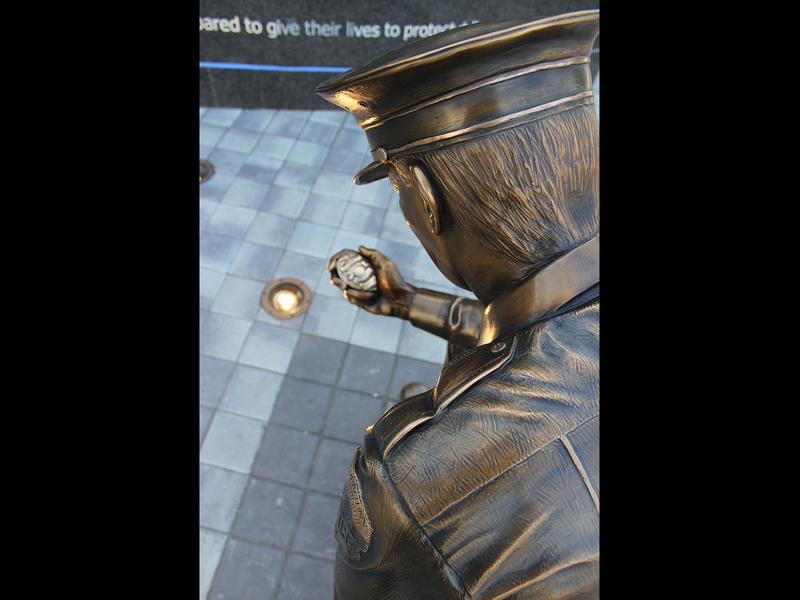 In his other hand he holds the badge of the fallen officer, a testament of the reminder of one who valiantly served the public only to pay the ultimate price. 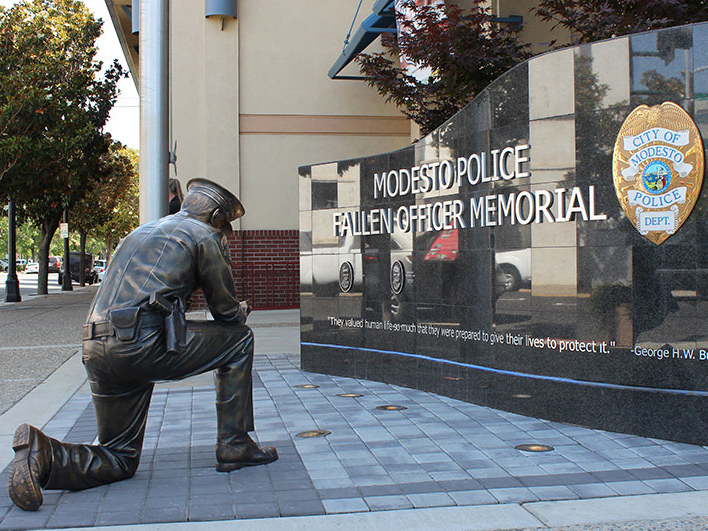 This sculpture is located outside police headquarters in Modesto, CA. 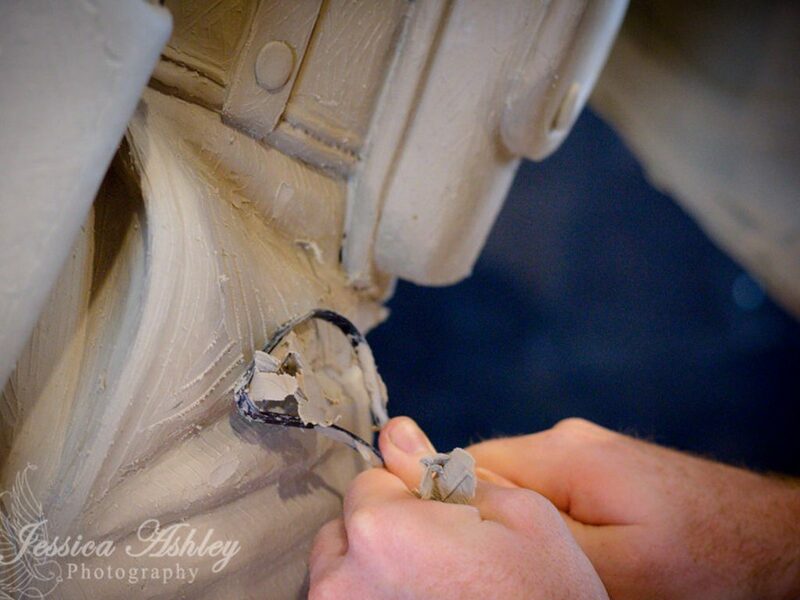 The piece was created in honor of two LODD (line of duty death) within that department. 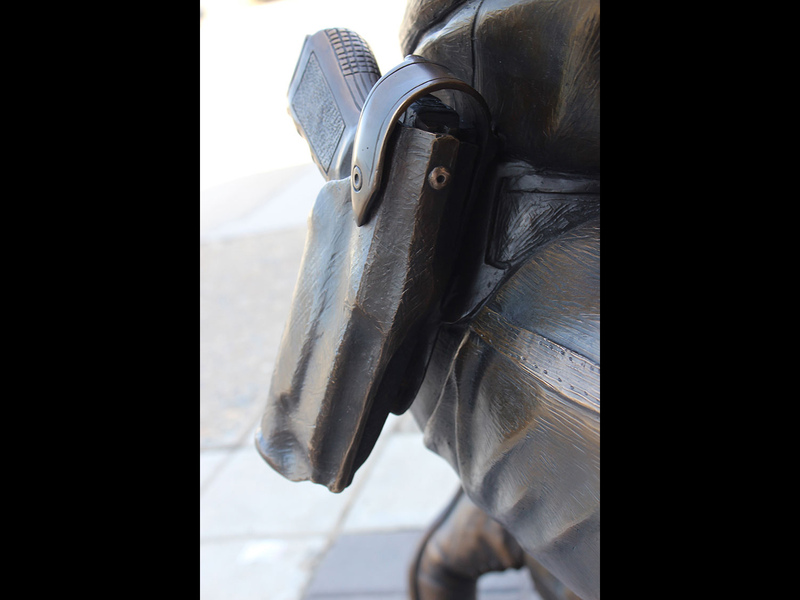 “The Fallen Shield” offers a way for the entire community to recognize not only the deep bereavement the law enforcement brotherhood experiences, but each individual’s sense of emotional angst as well.